A laptop with no proprietary BIOS and 100 percent open source software may sound too good to be true, but that’s exactly what Gluglug delivers. Is it a good deal? Read on to find out. Buying a laptop that comes preinstalled with Linux is getting easier these days. However, you’ll still be hard pressed to find a machine that is scrubbed of any proprietary code, such as BIOS and closed source drivers. Francis Rowe of Gluglug (which stands for GNU/Linux Libre User Group) decided to rectify the situation. Obviously, building an open software laptop from scratch is beyond the capabilities of one individual, so he chose the next best approach: customizing refurbished IBM Lenovo ThinkPad X60 laptops. Customization includes replacing the proprietary BIOS with coreboot, swapping the installed wireless card with one based on the Atheros AR5B95 chip, which has open source drivers, and installing the Free Software Foundation-approved Trisquel Linux distribution. All these modifications turn the stock IBM Lenovo ThinkPad X60 into an open source laptop that has received the Respects Your Freedom hardware certification from the Free Software Foundation. This open source laptop sure looks good on paper, but what is it like to use for daily computing? To answer this question, I ordered a laptop from Gluglug’s online shop. Besides the coreboot installation service (handy if you have your own ThinkPad X60), the shop currently offers two options: a ThinkPad X60 with and without extras. The latter bundle includes an UltraBase X6 docking station, a USB mouse, a USB serial adapter, a null modem cable, and an Ethernet cable. Both options ship with a new extended eight-cell (5200mAh) battery. By default, the laptop comes preinstalled with Trisquel, but you can opt for gNewSense or Parabola. When ordering the laptop, you can specify the desired RAM and hard disk combination: from 1GB of RAM and a 60GB HDD to 3GB of RAM and a 120GB SSD. The no-extras option costs UK£ 198, whereas the ThinkPad X60 with extras and loaded with 3GB of RAM and a 120GB SSD will set you back UK£ 318. Neither option is particularly cheap compared with stock ThinkPad X60 machines you can find on eBay, but the price does include customization and shipping. Although Gluglug ships internationally, you should be aware that the laptop comes with a UK keyboard and UK power plug. Although the plug is not a deal-breaker (you can buy a proper plug cheaply in any electronics store), the keyboard can be a bit of a problem in certain situations. For example, I’m based in Denmark, so a Danish keyboard is essential for my daily computing. If you find yourself in a similar situation, you have three options. The most expensive is to swap the UK keyboard with the native one. Alternatively, you can buy key stickers for the desired keyboard layout (Figure 1). Finally, you can simply learn to use the UK layout. 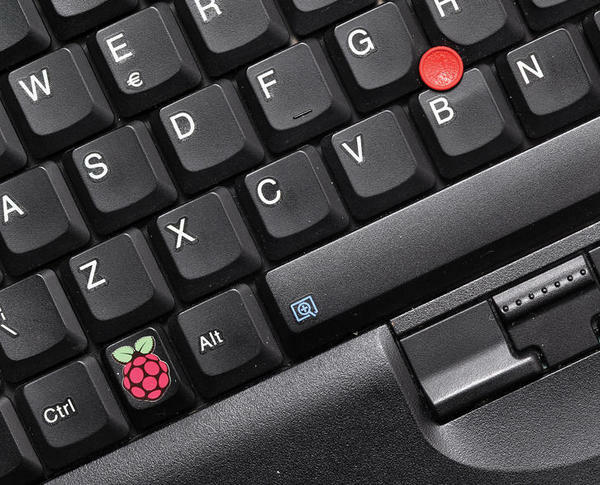 Figure 1: Raspberry Pi key sticker is a perfect fix for the Windows key. When you’re buying a refurbished six-year-old laptop, you are essentially getting a cat in a bag. 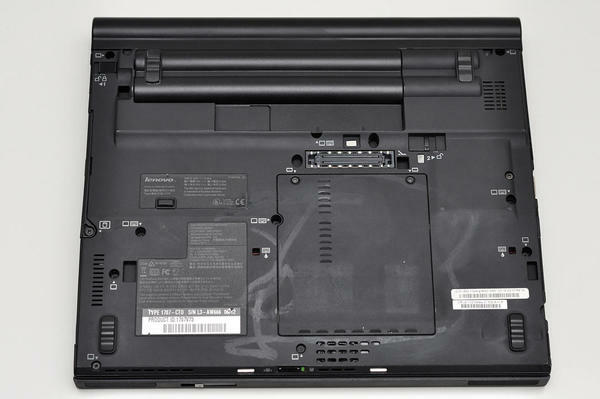 Of course, the seller ensures that the laptop is in working condition and it functions properly, but everything beyond that is an unknown variable. My particular unit was in decent cosmetic condition, but the screen lid had several deep scratches and the bottom side had some sticky stuff that took some time to remove (Figure 2). Figure 2: Laptop may require some cleaning and TLC. Cleaning the fan vent with a blower released a tiny cloud of dust, and the laptop needed a good wipe with a wet cloth to become presentable again. The worst part, though, was that the previous owner was presumably a smoker, because the laptop reeked of cigarette smoke. Even after a couple of weeks of intensive use, the laptop still emanates a slight smell of cigarettes. Unlike a regular BIOS, coreboot is minimal code for initializing hardware. After that, it jumps to a payload. In the case of the ThinkPad X60, the payload is GRUB 2. By default, it’s configured to boot the installed Linux distribution. Other options include booting from a USB stick with a Live CD version of Trisquel, gNewSense, or Parabola; booting into SeaBIOS; and scanning for existing GRUB configurations. To tweak the default boot menu, you need a basic understanding of how GRUB 2 works. The boot sequence itself is rather quick: It takes about 23 seconds from cold boot to the login screen – not bad for a six-year-old machine with a modest hard disk. The regular version of Trisquel uses the Gnome graphical desktop environment. As expected, the wireless and function (F) keys worked right out of the box, as did the suspend and hibernate modes. There are, however, a few flies in the ointment. Because the laptop is stripped of all proprietary firmware, none of the hardware keys (volume, playback, and all keys used in combination with the Fn key) work. Worse still, the screen is set to 100 percent brightness with no way to control it. Although the non-functioning hardware keys are not a big issue, the inability to adjust screen brightness turned out to be quite a nuisance; the blindingly bright screen makes working in dimly lit places rather difficult. The nifty ThinkLight LED that illuminates the keyboard does work, but its effect is greatly diminished by the brightness of the screen. Obviously, having the screen stuck at its maximum brightness level also affects the battery life. On average, the battery lasts about an hour and a half to two hours under light load (text editing and web browsing), which is not particularly impressive. Even worse, the remaining charge level is unpredictable: Sometimes the battery level drops from 60 percent to 10 percent in a matter of minutes. Needless to say, this makes the laptop an unreliable travel companion. The machine has another interesting quirk; when running on battery power, it refuses to work with a USB mouse. The screen is a standard 1024x768 affair, but it has the advantage of the 4:3 aspect ratio. The screen is decidedly low-res by today’s standards, and it’s not as bright as modern displays, but it does the job. Despite its age, the laptop is surprisingly snappy, especially if you opt to install the LXDE-based version of Trisquel. Of course, the laptop doesn’t have enough muscle to run games and heavy applications, but it’s perfectly adequate for daily computing tasks, such as writing, coding, browsing the web, and so on. As a completely free Linux distribution derived from Ubuntu, Trisquel is a perfect match for ThinkPad X60. The current version 6.0 of the distro is based on Ubuntu 12.04. Basically, you can think of Trisquel as Ubuntu minus non-free software and drivers. That means the distro ships without Flash support and media codecs. Trisquel can handle Flash content through the preinstalled Gnash software, but it’s far from perfect. The distribution ships with its own unbranded version of Firefox called Abrowser, which points to its own add-on repository containing only free extensions. However, you can install regular Firefox extensions from the official add-on repository if you like. Removing proprietary code from the IBM Lenovo ThinkPad X60 is undoubtedly an interesting experiment, and Gluglug does an excellent job of transforming a stock machine into a usable laptop powered by open source software. The real question, however, is whether the laptop is actually worth buying. The answer depends on your expectations and intended use. Short battery life and the inability to adjust screen brightness make the laptop less appealing as a travel companion. Relatively old hardware also means that the ThinkPad X60 is not particularly suitable for use as a primary machine. Basically, ThinkPad X60 from Gluglug would better serve as a secondary machine for hacking, coding, and writing. Just don’t keep it far away from a power outlet for too long. A laptop with no proprietary BIOS and 100 percent open source software may sound too good to be true, but that's exactly what Gluglug delivers. Is it a good deal? Read on to find out. Chinese computer manufacturer Lenovo has announced that it will be cooperating with Novell for various models of its Thinkpad business laptop series with Suse Linux Enterprise Desktop 10 pre-installed.